As a sports fanatic, it’s hard to talk about women in sports today and what the future holds. I have seen women athletes and women’s sports evolve, reinvent the norm, deal with financial harships, and even gain more of a fan base than their male versions (like in women’s tennis). Then I remembered the new Gatorade “What’s G” commercial and felt inspired to highlight some of the women in the commercial and those I felt should not have been left out — though I have to commend Gatorade for including women I had to Google myself. If you haven’t seen these commercials (I believe there are two versions), basically a camera pans through a series of famous athletes while rapper Li’l Wayne describes the characteristics of a “G” to a melodic score in the background. So, let me begin with the first face, tennis sensation Serena Williams. She may only be 27 years old, but Serena Williams is the number-one ranked female tennis player in the world, with 10 Grand Slam titles, and she has won more career prize money than any other woman, in any sport! The next series of women were Olympic themed. 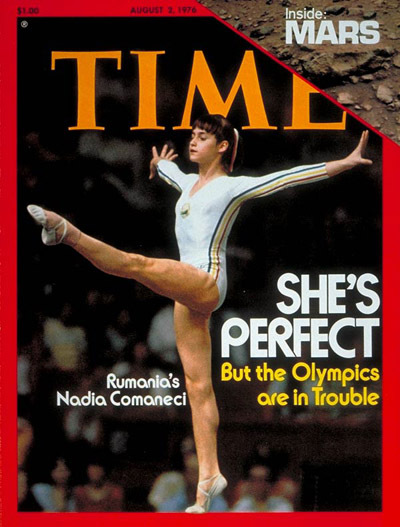 If you watch gymnastics, then I am sure Romania’s Nadia Comaneci makes you see 10s. That’s probably because at the young age of 14, Comaneci became the first gymnast to be awarded a perfect score of 10 in an Olympic gymnastic event, which she received for her routine on the uneven bars at the 1976 Montreal Olympics. Comaneci would remain among elite gymnasts until her retirement in 1981. When I was younger and people asked how fast did you run? I would say, “I ran like Jackie Joyner-Kersee.” Maybe I always answered that way because of her three gold, one silver, and two bronze Olympic medals or because Sports Illustrated for Women magazine once voted Joyner-Kersee the Greatest Female Athlete of the 20th century; either way, she is still a legend. Billie Jean King’s bio stretches well beyond her many accomplishments in tennis. Under her belt are 12 Grand slam titles and even a win over a male tennis player. However, Billy Jean King has extended her impact as a female athlete by becoming a philanthropist, mentor, and activist known nationally and internationally. Other women also included in the commercials were volleyball greats Kerri Walsh and Misty May-Treanor, Ironwoman Paula Newby-Fraser, softball all-star Jessica Mendoza, skiing ice princess Picabo Street, and basketball dunking queen Candace Parker. But come on Gatorade, you really couldn’t put Venus Williams, who is actually my favorite tennis player and who opened the door for Serena Williams, side-by-side with her sister? How about Laila Ali? She really couldn’t be placed with her fists in the air and legs in a stance next to her father? Where is the “female Michael Jordan” and the first WNBA player to dunk, Lisa Leslie? Lastly, with such little representation of women in auto racing, one the most televised sports in America, are you telling me the people at Gatorade forgot Danica Patrick? Gatorade, I think you need to add a third installment ASAP. And what about “Babe” Didrikson Zaharias? Maybe the greatest of them all?